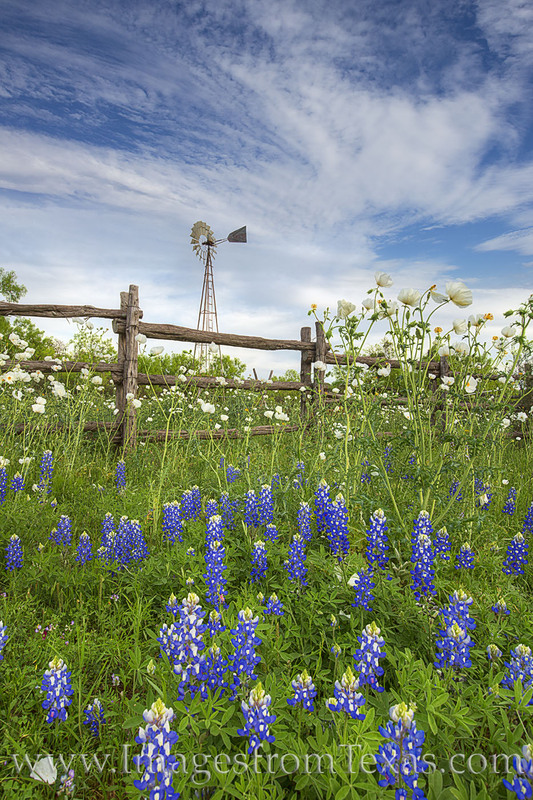 An old wooden fence stands among a spring bloom of bluebonnets and white prickly poppies. In the distance, a windmill rises up from the field of Texas wildflowers. Photo © copyright by Rob Greebon.